The Syrian government and the so-called moderate opponent groups signed a ceasefire treaty, and from the night of 29th December countrywide ceasefire began. Although some clashes are reported, there are no civilian casualties and the treaty is generally followed by both parties. To end the civil war, the Syrian government and the opponents negotiated frequently in Geneva, Switzerland, but only temporary and short term ceasefires were accomplished and negotiations did not give hope to permanent peace. But this time everything is very different from the fruitless Geneva talks and there is a serious hope to end the Syrian civil war. The most distinguishing feature of the process is excluding the US and other Western powers and the assuming liability by Russia, Turkey and Iran in the peace process. The treaty is composed of three parts: the Syrian government and the moderate opponents have agreed on a comprehensive ceasefire that is valid for all fronts in the country; Russia, Turkey and Iran assumed the role of the guarantors and finally the agreement on starting peace treaty negotiations for a political solution, to be held in Astana, Kazakhstan in January. Seven opponent groups including the most powerful ones, Ahrar al-Sham and Jays al-Islam, signed the ceasefire treaty. The groups have more than fifty thousand militants and compose important part of the Syrian moderate opponents. They control Idlib and some regions in Hama, Homs and formerly Aleppo. Therefore almost all the opponents in the North and West-Center of Syria joined the ceasefire. Such a comprehensive ceasefire was not agreed before since the beginning of the civil war. Surely, ISIS and the Al-Nusra Front, declared as terrorist organizations by both Russia and Turkey, are excluded. On the other hand, the Kurdish YPG is not part of the deal and it seems that the YPG’s and Kurds' situation in the future of Syria will be the subject of another deal. In fact, the process to the ceasefire treaty started in July after the unsuccessful US backed military coup attempt by FETÖ (Fethullahist Terrorist Organization) in Turkey. After the coup attempt, Turkey clearly and loudly accused US and EU of supporting terrorist organizations FETÖ and the separatist Kurdish PKK to overthrow the democratically elected government, divide country on the basis of ethnicity, and provoke ethnic and sectarian differences to change the frontiers in the Middle East by using the artificially created terrorist organization ISIS. On the other hand, although Turkey’s rejection, the US backed the YPG. The US argued that it is the only armed force fighting against ISIS and the US wanted that not only Kurd populated regions but also Arab and Turcoman populated towns like Tell Abyad and Manbij should be controlled by YPG. Turkey regards the YPG as the extension of PKK and declared it as a terrorist organization and also as a threat both to Turkey’s and Syria’s territorial integrity. Turkish politicians often warned the US either to choose NATO member Turkey or the YPG in fighting against ISIS, but the US armament of YPG continued. In most of the terrorist bombings in Turkey, the PKK used US arms that were given to the YPG and terrorists are trained in YPG controlled regions in North Syria. The capturing of the Arab populated town Manbij on the West of Euphrates by the YPG after a two months siege in August was the breaking point along with the unsuccessful US backed military coup, for Turkey. The US promised that Manbij would be saved from ISIS by YPG, than YPG forces would leave the town and local Arabs would administer it. But as always the US did not keep her promise to Turkey. After that Turkey officially announced that she will not act with the US & EU and follow her own policy with the other actors in Syria, namely Russia and Iran, that are regarded more reliable than NATO members. After the US backed coup attempt in Turkey and not withdrawing YPG forces from Manbij in Syria, Turkey’s president Recep Tayyip Erdoğan immediately visited Saint Petersburg, Russia on the the 9th of August. Meanwhile on the 27th of June Turkey already officially apologized for the downed Russian plane on 24th November, which is a provocation of FETÖ pilots in the Turkish Air Forces, like the assassination of Mr. Andrey Karlov in Ankara, the restoration of relations between Turkey and Russia began, and the strategic plan to end the civil war in Syria agreed by the presidents of the two country by excluding the US and other Western countries. As the first phase of the plan the Turkish Army began “Euphrates Shield” operation against ISIS on 25th August by the consent of Russia, Iran and Syria. The aim of the military operation was cleaning of Turkish and Syrian border from Azaz to Jarabulus from ISIS and at the same time preventing the YPG’s aim to unite North of Syria under a corridor that serves to US plans. At the second phase, Turkey persuaded the so-called moderate opponent groups to differentiate themselves from terrorist groups such as Al-Nusra and evacuate Aleppo. Russia and the moderate groups negotiated in Ankara almost two months and between December 13th and 22nd to have moderate groups and civilians transported from the East of Aleppo to Idlib by the joint cooperation of Russia, Turkey and Iran. After the success of the operation, both Russia and Turkey regarded each other as “reliable” and “promise keeping” partners. Surely the successful operation of evacuating the moderate opponents and civilians from Aleppo has proved that joint plans can be realized on the field and increased the level of mutual trust between Turkey, Russia, and Iran. At the third phase, the foreign ministers of Russia, Turkey and Iran organized a summit on the 20th of December in Moscow and agreed on a ceasefire and the beginning of peace negotiations in Kazakhstan. The assassination of the Russian Ambassador to Turkey Mr. Andrey Karlov was the response of the US to the agreement. It is fortuitous that the summit was not canceled, and the agreement consists of eight article signed by the all parties. The most important implication of the agreement is the emphasis on the territorial unity of Syria and assuring the guarantees of Russia, Turkey and Iran for protecting the ceasefire and starting negotiations for a political solution rather than military one. As a result, the whole process ceasefire began on the 29th of December. The agreement of Russia, Turkey and Iran to end the civil war and the establishment of a unified, secular and democratic Syria has more important consequences beyond the Syria. Syrian civil war caused more than five hundred thousand civilian casualties, 4 million people immigrated to other countries, towns ruined, economy collapsed. The peace process will be an opportunity to rebuild the country and prevent more casualties. Humanitarian tragedy will end hopefully. 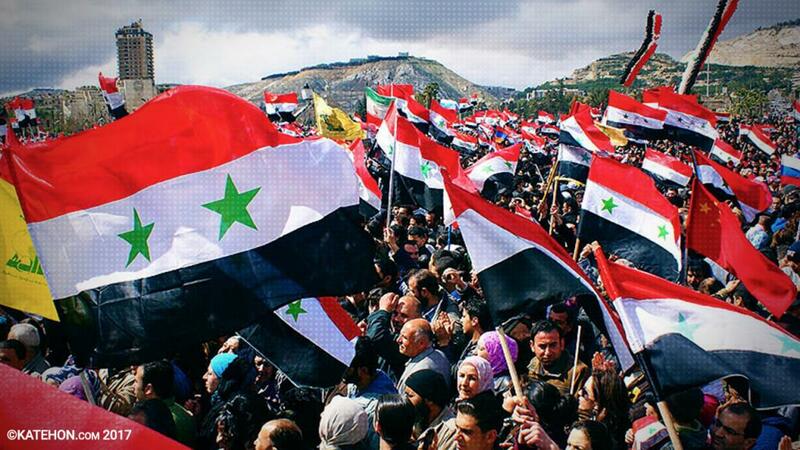 The end of the Syrian Civil War means the end of the Arab Spring that is a US project to feed instability in the Middle East by provocations of the ethnic and sectarian differences and split the countries. If, as the most influential countries of the Islamic World, Sunni Turkey and Shia Iran, with the coordination of Russia, cooperate, the clashes and political conflicts in Iraq, Yemen, Lebanon and Palestine can be solved peacefully. In the public opinion of Muslim countries the US & EU are considered as the source of every conflict. The efforts of the US & EU are regarded as an attempt to invade Muslim countries by the West. If Russia can achieve a “just” and “permanent” peace in Syria, she can replace the West’s influence also upon the governments of the Muslim World as a “peace keeper”. This is the historical opportunity for Russia. Turkey will have the opportunity to stabilize her southern frontiers and strengthen territorial integrity; furthermore Turkey’s inevitable journey from the Western to Eurasian bloc will accelerate. Russia’s dominance on Shiites and Turkey’s influence on Sunni Arabs can decrease the tension between Iran and Saudi Arabia & Gulf Countries. Now Russia, Iran and Turkey axis will have the confidence to prevent potential US&EU provoked military conflicts, not only in Middle East, but also Caucasia and Central Asia. Moreover Russia and Turkey can cooperate in the Balkans too. Stabilization in the Middle East accompanied with Caucasus, Central Asia, and Balkans relieves Russia from US & EU attacks and provides an opportunity to concentrate on Eastern Europe and Pacific conflicts. The peace process initiated by Russia, Turkey, and Iran to end the civil war in Syria has important results for Syria, the Middle East, and global politics. The new axis can create a new “pax” in the Middle East, Caucasia, Central Asia, and the Balkans. Cooperation between Muslim countries whether Sunni or Shia, and an alliance with the Orthodox world means the convergence of two poles, that protect them against attacks either originated from West or (potential) Pacific. As a response, the West will exploit every opportunity to prevent the rapprochement, like assassinations, terrorist bombings, and economic sanctions. The political leaders and the public opinion of Russia, Turkey, Iran, and the Arab World should be aware of potential disruptions and respond accordingly.